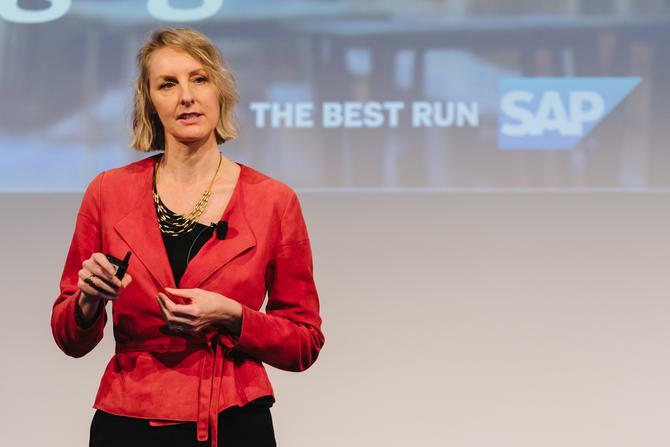 During the recent CMO Momentum conference, SAP Customer Experience Vice President of Marketing, Asia Pacific Japan & Greater China, Jennifer Arnold, shared how brands can journey into the era of in-moment marketing. Marketers have been talking for a long time about what customers expect from their brands. More recently, conversations have revolved around becoming more personalised; in the messages we send, and also by creating trustworthy interactions. The mission: Communicate on the customers’ own terms, how and when they want to be communicated with. In response, brands are increasingly personalising messages, building an understanding of broader personas and working towards creating highly individualised interactions. We’ve started harnessing two-way communication, and many of us are now able to attain some real-time feedback about campaign performance in order to optimise activities as we go. This has been further enhanced by pulling data across our organisations to create that single golden record of the customer. Of course, we still have a long way to go, especially in larger organisations, to break down the silos and bring data together. It’s not just marketing insights we need, but also services and support data along with insights from interactions customers have across our businesses. All in all, however, we have made good headway. But just when you were on track to lift your customer engagement game, the rules have changed again. Personalisation in this form is no longer good enough. While all these elements still need to be addressed, it now needs to happen in real time. We’ve entered the era of in-moment marketing. Unless your brand can solve the customer’s problem or give them the right piece of information in the exact moment they need it, you risk losing them. And that means working doubly hard to try and get them back on your website or in your door. More advanced organisations are shifting to more empathetic marketing, as dictated by the customer. As marketers, we are not guiding customer journeys anymore, customers are guiding their own journeys and these adapt as they go. Achieving empathy in marketing means addressing customers’ needs, solving their problems, or removing a barrier in that particular moment. At SAP, we call this in-moment marketing. And it’s vital to sustainable growth for any B2B or B2C organisation. In-moment marketing is point-in-time marketing. It’s having the ability to address a real-time need when the customer is most open to being influenced. It’s that moment in time when behaviour and preferences align. That’s where you, as a brand, need to be. In-moment marketing can be broken into two areas. One is life moments, or things happening sporadically in a customer’s life, such as getting married, buying a house, starting or finishing university, and having a baby. It could also be large transactions, such as buying a car. Yet as a marketer, if you’re not having regular interactions, how can you make sure you’re there when the customer is making such decisions? And once you have that engagement, how can you keep it going if a customer isn’t purchasing on a daily, weekly or even yearly basis? This comes down to the second element of in-moment marketing: Everyday moments. This is when customers might be hungry, travelling somewhere, want to be entertained or want to learn something, and you fill the gap. As a brand, are you there in that moment? Do you know what the customer is actually trying to do? Do you know where they are? And can you make that experience better for them at that moment in order to keep them engaged and coming back? Marketers generally have a pretty good understanding of what a customer needs in certain moments. For example, in a typical scenario where a customer does A, we know they’ll probably next do B. We can have that understanding at a high-level persona view. We’re also quite good at understanding what customers have done before through previous purchases, what they have called to complain about, and what questions they ask. We’re also getting better at knowing what influences them, particularly now we’re engaged in social media tracking. There are two additional key questions you need to address to really harness an in-moment marketing approach. The first is: What is that customer doing right now? And the second: Where are they right now? New marketing technology platforms are helping us to reach that insight and importantly, act on it. They’re allowing us to analyse what content consumers are consuming at a particular point in time, along with location and geospatial data about where they are. Once you can pull it all together, you’re much better able to individualise the message and offer a solution in real time. This is about what the customer needs right now based on where they are, and being able to present that information to them in the right channel. A great example of this in action is the partnership between Qantas and Uber. Together, they know where the consumer is, if they’re running late or early for a flight, and whether that individual is at risk of missing a flight. Using those insights, Qantas can call the consumer or send a message and inform them of capacity on a flight 30 minutes later, plus rebook that consumer so they don’t miss out. That’s a great example of how to solve a problem in that moment that gains both brands customer trust and loyalty. A customer we’re working with in Spain, Palladium Hotel Group, is using geospatial data from customer bracelets onsite to create value long term and realise its mission of converting guests into life-long fans. Palladium Group runs 13,000 rooms in six countries and is a family owned hotel group. Working with SAP Customer Experience, the team is harnessing analytical marketing to understand its target audience and act accordingly. For example, bracelets allow a guest to open a room, pay for goods and services on the spot, and identify customers within each outlet across each hotel. Data collected helps the team better target customers and improve experiences, providing specific offerings and an extra special touch in the moment. Using our HANA engine, Palladium is capable of taking information and making decisions in real time, meaning marketing dollars are being invested in the right place at the right time for the right people with the right message. Another good example of what this can mean for you as a marketing organisation can be seen with one of our international insurance company clients, which used to operate traditionally with 50 trigger-based campaigns every year, getting average response rates. Using machine learning and analytics, and by tracking every customer interaction on every channel they have including customer service, they’re now allowing every customer to guide their own journey. This company now runs 300 concurrent, very targeted campaigns customers are self-selecting based on what their needs are. It’s increasing response rates and revenue generation as a result. The moment for in-moment marketing is now.